How are you going to print documents in the year 2018? If your organization is still buying, maintaining, and using retail printers, you are missing out on valuable opportunities to eliminate waste and improve productivity throughout your company. No matter how carefully you assess your print environment, there is no substitute for the value a managed print service plan represents. Guaranteed Uptime. Printers break, consumables run out, and other unexpected things happen. Without a managed print service provider supporting you, your IT team needs to constantly be fixing broken devices, preventing you from ever truly making a leap forward in productivity. Fixed Costs. There is no room for surprises at the end of the month when your accountants start paying out the organization’s various obligations. Managed print services take advantage of economies of scale to make sure your consumables end up costing you less overall than they would if you purchased them yourself. In-Depth Data. Pave the way for constant improvement by gathering data on your print usage and leveraging it towards better, more efficient usage of company resources. Efficiency is a journey, not a destination, so you should plan on adjusting your policies to save time and money well into the future – but to do that, you need data. Extra Functionality. Some valuable functionalities like FollowMe Printing simply make more sense within a managed printing environment. Any system you implement needs to be maintained, and having a provider take care of that for you lets your IT team focus on higher-order, value-generating business goals. It’s easy to see that managed print service can save companies money, but making a plan that has the right provider performing the right service for your company takes some forethought. It would be easy to claim that all managed print service plans save money, but there is more to the subject than that. Managed printing can transform the way you do business on a fundamental level – especially if you operate in a document-intensive industry. The key to finding out just how much money a managed print service provider can save you is through the proper assessment of your print environment. Unsurprisingly, not all providers use the same assessment standards. Most providers don’t use secure assessment methods, either – if a provider inserts a USB stick into one of your computers and uses it to gather data on your entire organization’s print usage, how do you know that data remains safe? 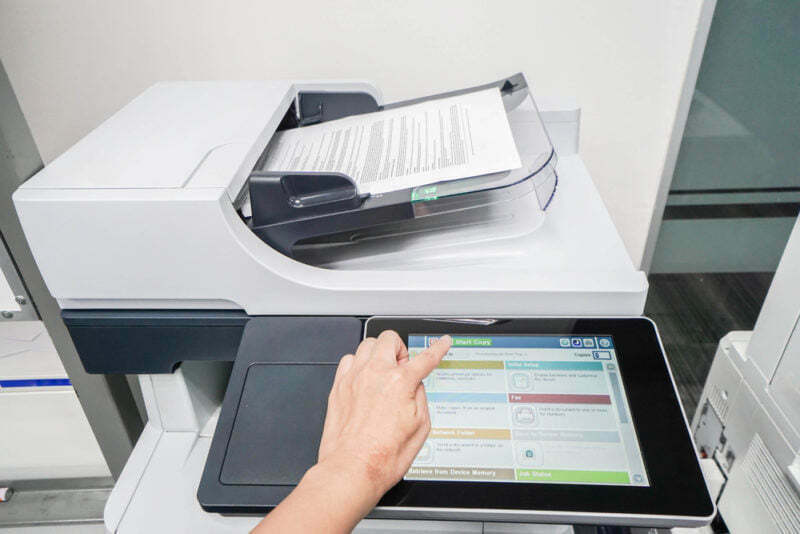 Print service providers need to be very careful when performing print assessments. You must be sure that any data you give to a third-party complies with ISO 27000-series information security standards. Your Print Environment. To be truly thorough, your assessment has to include the physical office layout, the network itself, and a visual understanding of how departments share print resources. You should know which department uses the most paper, which ones use the most stoner, and much more. Your Customers. Don’t be afraid to speak to customers – their voice needs to be heard too. Simple online surveys and quick interviews can reveal a great deal of information on their expectations concerning your print habits. Your Business Processes. In combining the environment with your customers’ expectations, you set the stage for printing workflows that make the most efficient use of your equipment to exceed customer expectations. A great managed print service plan assesses the inefficiencies of your business processes using this data. As a final touch, consider the future. Any serious managed printing plan needs to account both for projected growth figures and for unexpected contingencies. If new processes, technologies, or customer attitudes radically change one or more of your departments, will you be able to adjust and scale your use of resources to match? If your plan is adaptable and growth-oriented, your organization will have no problem handling what the future will bring. Ready to start saving money in 2018? Get in touch with us and have our team assess your business environment to find ways to improve efficiency.